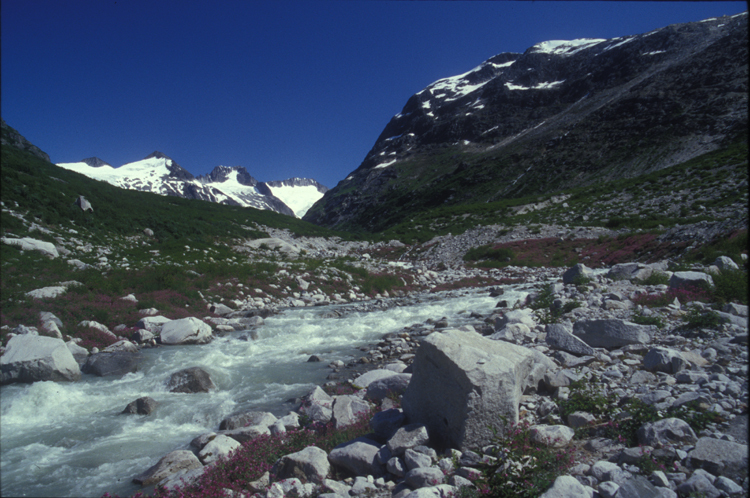 A sizable river flowed from the glacier at the top of the canyon. We stuck to one side of it because it would have been difficult to cross without getting soaked. It was swift enough that even if we had committed to getting wet we probably still would have roped up to avoid floating away.